This chapter focuses on the mechanisms of specification, expansion and patterning of the respiratory progenitors during lung development. Currently little is known about the signals required for induction of the respiratory lineage and that generate cellular diversity in the respiratory epithelium. Studies in different species implicate Fgfs, retinoids, Wnt, and transcription factors such as Tbx, Nkx2 and Sox in the regulation of the initial developmental events in the lung. We will review the role of these regulators and how they interact. We will also discuss aspects related to the identification and behavior of putative stem/progenitor cells of the lung. The respiratory system is characterized by great cellular diversity with multiple resident epithelial and mesenchymal cell lineages. These components are organized as a complex system of branched epithelial tubules (airways), closely apposed to vascular and lymphatic conduits, which connect to a vast network of gas exchanging units called alveoli. In most species the respiratory system develops through prenatal and postnatal life, and there are wide interspecies differences in timing and duration of specific events (Maeda et al., 2007; Cardoso and Lu, 2006; Que et al., 2006; Warburton et al., 2005; Shannon and Hyatt, 2004). Figure 1 highlights the major developmental events in the murine lung. The acquisition of respiratory cell fate begins with the lineage specification of lung epithelial cells from the definitive endodermal germ layer. The lung and trachea arise synchronously as outgrowths from the foregut endoderm (see Figure 1A). The initial left and right primary lung buds develop into a tree-like system of epithelial tubules in a process known as branching morphogenesis. The primitive airways are initially separated by abundant mesenchyme, resulting in the characteristic morphology of the pseudo glandular stage of lung development (see Figure 1B). As the epithelial tubules grow and branch, and the vasculature further develops during the canalicular stage, the epithelial and vascular structures become closely apposed. By the end of gestation, the distal epithelium differentiates into type I and type II alveolar cells and forms saccules (see Figure 1C). These saccules are later subdivided by a process of septation into smaller units, the definitive alveoli (see Figure 1D). Development of the respiratory system in mice. A. Initial events. From around embryonic day E8.5-9.5 the foregut endoderm (represented in grey) is specified into organ-specific domains, such as the thyroid (Th), trachea (Tr), lung (Lu), liver (Li) and pancreas (Pa). Progenitor cells of the trachea and lung arise from the ventral foregut endoderm in a domain located posterior to the thyroid and anterior to the liver and the pancreatic fields (depicted by dashed lines in A). At E9.5, primary lung buds and the tracheal primordium are induced. From E9.5-E10 primary buds elongate, while the tracheal primordium starts separating from the primitive esophagus (Es), presumably by growth of an ascending tracheoesophageal septum. At E10.5 secondary buds form from the primary lung buds (inset picture in A). B. From E11-E16.5 the epithelium undergoes branching morphogenesis and proximal-distal patterning to form the bronchial tree (arrows 1, 2, 3, represent primary, secondary and tertiary buds, respectively). This period encompasses the pseudoglandular (B, right panel, Hematoxilin and eosin – H&E- staining of a E15.5 lung section showing a gland-like appearance of the distal region), and the canalicular stage (not shown). The lung is subdivided into morphologic units called lobes, surrounded by mesothelial cells of the pleura. Mice have one lobe on the left lung (LLu) and four lobes on the right lung (RLu); these lobes are the cranial (cr), medial (me), caudal (ca) and accessory (ac) lobes. C. From around E17-E18 the distal epithelial tubules differentiate into type I and type II cells and expand to form saccules (arrows), the primitive gas exchange region of the lung (E18, H&E, right panel). D. From around postnatal 3-14 the saccules are subdivided into small units through growth of a secondary septum (septation, or alveolization, diagram on left) to give rise to the mature alveoli (H&E, asterisk in right panel). bv: blood vessel. Modified with permission from Cardoso and Lu (2006). The mechanisms that lead to the specification of respiratory progenitors in vertebrates are largely unknown. There is limited information from lineage tracing studies in mice suggesting that cells that give rise to the distal regions of the respiratory tract (distal airway epithelium and alveoli) and proximal regions (trachea and proximal airways) have different origins. (Perl et al., 2002). The earliest indication of the establishment of respiratory cell fate in the foregut endoderm is the appearance of Titf1 (thyroid transcription factor 1, or Nkx2.1) in the midforegut region. Titf1 demarcates the prospective lung/tracheal field. Titf1 expression has been reported in respiratory progenitors of the foregut endoderm even before the lung or tracheal primordium can be identified (see Figure 2A-C). The presence of Titf1 in early respiratory progenitors has been described in multiple species including Xenopus (Small et al. 2000), chick (Sakiyama et al., 2003), rat (Lazzaro et al., 1991), mouse (Kimura et al. 1996) and human (Hösgör et al., 2002) embryos. However, as suggested by its name, Titf1, is not lung-specific and is expressed in the foregut from an earlier stage by thyroid progenitors (for example, in mice at around E8-8.5; Figure 2A), and is also present in the developing brain (Kimura et al. 1996; Kimura et al. 1999). Titf1 is initially expressed in both the lung and tracheal primordia (see Figure 2C), but subsequently a proximal-distal (P-D) gradient is established, with high levels of expression in distal lung buds (see Figure 2D-E). Is Titf1 the key transcription factor responsible for lineage specification of the progenitors of the early lung and trachea? Analysis of Titf1-null mice reveals that homozygous mutants die at birth due to respiratory distress. Although lungs are present, airways remain unbranched and show no evidence of lung specific epithelial cell fate, as indicated by absent expression of Scgb1a1 (Secretoglobin, or Clara cell secretory protein Ccsp) or any of the surfactant-associated protein genes (Sfpta, Sfptb, Sfptc) characteristic of airway and alveolar cells (Minoo et al., 1999). It is unclear whether lung cells are ever specified in these mutants or whether cells are unable to survive after specification in the absence of Titf1. The latter scenario appears to be true for the thyroid, where Titf1 has been shown to be required for the survival of pre-specified thyroid progenitor cells (Kimura et al. 1999). In the lung, however, this issue remains unresolved in part due to the lack of other early markers of lung cell fate. Expression of Thyroid transcription factor-1 (Titf1, or Nkx2.1) in the developing mouse foregut and the respiratory system (in situ hybridization). Titf1 is initially expressed by the thyroid primordium (E8.5, arrow in A). At ∼E9.0 lung and tracheal progenitors are identified collectively by expression of Titf1 (arrow in B). As the lung primordium forms (C,D) and the epithelial tubules branch (E), Titf1 expression localizes mostly to the distal epithelium. A number of studies have revealed that during early development the foregut and the heart are in close contact and exchange signals critical for further development of both structures (Jung et al., 1999; Rossi et al., 2001; Serls et al., 2005). There is evidence that FGFs secreted by the cardiac mesoderm influence cell fate decisions in the adjacent ventral foregut endoderm in a concentration-dependent manner. A model of lineage specification has been proposed, in which different thresholds of FGFs pattern the multipotent endoderm into different foregut derivatives, including the liver and lung (see Figure 3; Serls et al., 2005). Explant cultures of the 2-5 somite stage ventral foregut are induced by the addition of cardiac mesoderm towards a liver or lung fate (as measured by the consequent expression of albumin or Titf1). Moreover cell fate choice in vitro was dependent on endoderm proximity to the cardiac mesoderm. In the absence of cardiac mesoderm the cultured ventral endoderm adopts a ‘default’ pancreatic fate characterized by Pdx1 expression. Indeed, low concentrations of FGF2 (5ng/ml) added to cultured ventral endoderm resulted in the expression of liver markers, whereas high concentrations of FGF2 (500 ng/ml) resulted in apparent lung lineage specification characterized by expression of Titf1 followed by Sftpc, and Scgb1a1. The high concentration of FGF2 appears to be instructive for lung specification since dorsal midgut endoderm, which ordinarily does not give rise to lung, also responds to FGF2 induction and expresses Titf1 . In this system, the induction of lung cell fate also appears to involve signaling through FGF receptor 4 (FGFR4). Administration of blocking antibodies against FGFR4 prevents induction of Titf1 expression, but did not affect induction of albumin expression. However, genetic disruption of FGF2 and FGFR4 reveals no lung phenotype, which suggests functional redundancy in FGF signaling. In summary, initial lung lineage specification is likely to depend on multiple signaling molecules, including FGFs from the heart, that act in concert with transcription factors and epigenetic mechanisms that have yet to be determined. Representation of an early stage of foregut morphogenesis in the mouse embryo (∼E8), in which Gata and Fox transcription factors play a key developmental role in the endoderm. B. Diagram represents a model proposed by Serls et al. (2005) to explain how the foregut (Fg) endoderm is specified into liver (Li), lung (Lu) and thyroid (Th) by Fgfs from the adjacent cardiac mesenchyme. Heart (Ht). Reprinted with permission from Cardoso and Lu (2006). Once respiratory cell fate is established in the foregut endoderm, an initial pool of progenitors is expanded and patterned via activation of the Fgf10-Fgfr2b pathway (Cardoso and Lu, 2006). Studies in different species including chick and mouse have shown that the formation of primary lung buds is associated with local Fgf10 expression in the mesoderm of the prospective lung field (Sekine et al., 1999; de Moerlooze et al., 2000; Sakiyama et al., 2003). Fgf10 activates Fgfr2b signaling in a subset of Titf1-expressing endodermal cells, triggering an Fgf-mediated program of proliferation and migration (see Figure 4A-B). Although the entire Titf1 field (tracheal and lung progenitors) is competent to respond to Fgf10, only the lung progenitors appear to require Fgf10 for survival. Indeed, exogenous FGF10 can elicit an FGF-mediated response in both tracheal and lung epithelium; however, in Fgf10 null mice, trachea is present while lungs do not form (Bellusci et al., 1997; Park et al., 1998; Hyatt et al., 2004; Sekine et al., 1999; Min et al., 1998). This is intriguing since both lung and tracheal progenitors express Fgfr2b (Bellusci et al., 1997; Park et al., 1998). There is also accumulated evidence that Fgf10-Fgfr2b signaling is required to generate a proper number of progenitor cells and thus ensure that a particular structure or organ will grow to a proper size. Analysis of an Fgf10 hypomorphic mouse reveals hypoplastic lungs (Ramasamy et al., 2007); moreover, in Fgf10 null mice, the pancreas and stomach are severely reduced in size (Bhushan et al. 2001; Nyeng et al. 2007). It is possible that by maintaining survival and by expanding a subpopulation of endodermal cells during lung bud formation, Fgf10 may help to segregate the lung from the tracheal progenitors. During branching morphogenesis Fgf10-Fgfr2b signaling activates a number of target genes in the distal lung epithelium including Bmp4 and its receptor Bmpr1 (Weaver et al., 1999; Lu et al., 2005). The role of Bmps in epithelial morphogenesis is still not well understood; there is evidence that Bmp signaling promotes the proliferation and survival of a population of multipotent progenitor epithelial cells in the distal lung (Eblaghie et al., 2006). Fgf10-Fgfr2b signaling in lung bud morphogenesis. A. Lung budding results from mesodermal induction of Fgf10 and activation of Fgfr2b signaling in the Titf1-expressing endoderm at the prospective lung field. B.Fgf10 and Fgfr2b expression in the E9.5 lung primordium by in situ hybridization. (Fgf10, mesoderm associated with emerging lung buds; Fgfr2b, lung endoderm). C. Diagram representing known or putative regulators of Fgf10 expression in the developing lung; see text for details and references. Modified from Cardoso and Lu (2006). There is limited knowledge of the factors that control the spatial-temporal pattern of Fgf10 expression at the onset of lung development (see Figure 4C). Studies in different systems suggest that Wnt signaling acts upstream of several Fgf ligands, including Fgf10 (Potok et al., 2008; Cohen et al., 2007). There is also evidence that the LIM homeobox transcription factor Isl1 may regulate Fgf10 expression. Cis-elements for Isl1 have been identified in the Fgf10 promoter (Cai et al., 2003; Ohuchi et al., 2005) and a recent report reveals transient Isl1 expression near the lung primordium coinciding with sites of Fgf10 transcription (Millien et al., 2008).The role of Isl1 in lung development has not been determined yet due to early embryonic lethality of Isl1 null mice (Cai et al., 2003). Studies in mouse embryos have shown several members of the Tbx family of transcription factors are expressed in the foregut at the onset of lung development and later in the lung mesoderm. The presence of Tbx2-5 transcripts overlapping with Fgf10 mRNA is suggestive of a role for Tbx-Fgf10 interaction in lung morphogenesis (Chapman et al., 1996). However, genetic deletion of these Tbx genes (Tbx2-5) in mice failed to demonstrate this role, presumably due to functional redundancy (Harrelson et al., 2004; Davenport et al., 2003; Takeuchi et al., 2003). Remarkably, in the developing foregut of chick embryos Tbx4 and Fgf10 are co-expressed in the foregut mesoderm and Tbx4 has been shown to be critical for induction of Fgf10 in the lung field (see Figure 4C). Gene transfer experiments in ovo show that misexpressing Tbx4 in posterior regions induces ectopic Fgf10 and extends the domain of Titf1-expressing lung progenitor cells to more posterior regions. Importantly, there is no evidence that Tbx4 and Fgf10 are able to initiate (or induce) Titf1 expression or lung cell fate, rather the data suggest that Tbx4, via Fgf10, controls the posterior expansion of the pre-specified lung primordium. Tbx4 misexpression in dorsal foregut (esophageal region) results in formation of a dorsal bud negative for Titf1 (Sakiyama et al., 2003). There is evidence from in vitro and in vivo studies that activation of Sonic hedgehog (Shh) negatively regulates Fgf10 expression in the distal lung mesenchyme (Bellusci et al., 1997; Lebeche et al., 1999). A model has been proposed in which Shh at the tips of developing lung buds limits further epithelial outgrowth and control bud size by inhibiting local Fgf10 expression in the mesenchyme (reviewed in Cardoso and Lu, 2006). Classical studies in vitamin A deficient animal models have shown that disruption of retinoic acid (RA) signaling leads to major abnormalities in the embryo, including lung agenesis (Wilson et al., 1953; Dickman et al., 1997).These observations and the evidence of prominent RA synthesis and utilization in the E8-E10 murine foregut (Malpel et al., 2000) suggest that RA signaling may be critical for generation or maintenance of lung progenitor cells. Recent studies using mouse genetic models and pharmacologic approaches show that RA plays a major role in lung morphogenesis, at least in part by regulating Fgf10 expression in the prospective respiratory field (Mollard et al., 2000; Desai et al. 2004, Desai et al. 2006; Wang et al. 2006). Disruption of endogenous RA signaling both in vivo and in vitro was shown to result in hyperactivation of Tgf beta signaling throughout the foregut mesoderm, which prevents induction of Fgf10 in the lung field when lung progenitor cells need to activate Fgf signaling to further develop (see Figure 4C; Chen et al 2007). Analysis of Raldh2 (retinaldehyde dehydrogenase 2) null mice, which are unable to synthesize RA in the vast majority of the body including the foregut, show Titf1 expression in endodermal cells of the prospective respiratory field. The fact that in this genetic model the foregut has never been exposed to endogenous RA, but still shows Titf1-expressing cells in the lung field, strongly suggests that RA is not required for lung specification (Desai et al., 2006). While RA signaling is quite active in the foregut during primary lung bud formation, it is subsequently downregulated in lung epithelial tubules undergoing branching morphogenesis (Malpel et al., 2000). Maintaining RA signaling activated in the distal epithelium throughout late gestation results in immature lungs (Wongtrakool et al. 2003). Interestingly there is evidence that RA may play a role in the development of the lung postnatally during formation of the definitive alveoli by a mechanism that is still poorly understood (Massaro et al., 2000). The mechanisms involved in D-V patterning of the anterior foregut and separation of the respiratory and digestive tract are still poorly understood (see Figure 1A). Analysis of the Sry related – family HMG box Sox2 in both mouse and chick embryos show strong endodermal expression during formation of foregut derivatives (Ishii et al., 1998; Que et al., 2007). Sox2 expression, however, is dynamic and declines in regions undergoing bud morphogenesis and in the ventral region that gives rise to the developing trachea. Analysis of an allelic series of Sox2 compound mutant mice supports the idea that different levels of Sox2 protein regulate patterning of the anterior foregut into ventral (trachea) and dorsal (esophagus) fates. In Sox2 deficient mutants, Titf1 is seen ectopically in the dorsal foregut, which histologically resembles the trachea instead of the esophagus (Que et al., 2007). Based on these and other in vitro data, a model has been proposed in which proper D-V patterning depends on reciprocal repression of Sox2 and Titf1, with an Fgf ligand (still not yet defined) expressed ventrally,stimulating increased Titf1 expression. A number of other signals such as Sonic hedgehog (Shh), Titf1, Foxf1, Tbx4, and RA receptors have a distinct D-V distribution in the foregut and have been implicated in patterning of the trachea and esophagus (Minoo et al., 1999; Litingtung et al., 1998 Sakiyama et al., 2003; Mahlapuu et al., 2001; Dickman et al., 1997). Mice deficient in these genes show incomplete separation of the respiratory and digestive system, a defect known as tracheoesophageal fistula, which is a common birth defect. Gata family members have been suggested to play a role in both early and late lung development. Gata4 and Gata6 are expressed early in endoderm and are crucial for the survival, differentiation and morphogenesis of the foregut (see Figure 3A; Kuo et al., 1997; Morrisey et al., 1998). Deletion of either of these transcription factors is lethal prior to the completion of gastrulation. Once the lung forms, Gata6, but not Gata4 continues to be expressed in the lung epithelium. In vitro studies show that Gata6 directly interacts with Titf1 to regulate activity of the Sfptc promoter (Liu et al., 2002). Genetic evidence suggesting that Gata6 may be required for lung lineage specification is suggested by the ability of Gata6-/- embryonic stem (ES) cells to contribute to chimerism of all developing tissue lineages when injected into mouse blastocysts with the exception of the lung epithelium (Morrisey et al., 1998). Whether this results from a role for Gata6 in early lung lineage specification or in the maintenance, expansion, or differentiation of specified cells is not known. Studies in several model systems implicate Wnt canonical signaling in regulating cell proliferation, differentiation, and lineage specification (Logan and Nusse, 2004). In the developing lung multiple Wnt ligands and beta catenin TCF/LEF downstream targets are expressed both in the developing endoderm and mesoderm (Okubo and Hogan, 2004; Pongracz and Stockley, 2006; Tebar et al., 2001). Using TOPGAL reporter mice, active canonical Wnt signaling has been documented in the prospective lung field of the ventral foregut endoderm at day E9.5, and signaling appears to continue throughout lung development (Okubo and Hogan, 2004). β-Catenin, a central molecule of canonical Wnt signaling, is present in both the cytoplasmic and nuclear compartments of the developing lung epithelium as well as the adjacent mesenchyme (Tebar et al., 2001). At least three genetic studies in mice implicate canonical Wnt signaling in lung epithelial lineage choices and differentiation: 1) conditional deletion of β-Catenin in lung epithelium after lung budding but prior to day E14.5 caused defective proximal-distal patterning of the lung epithelium (Mucenski et al., 2003; Shu et al., 2005); 2) overexpression of an activated β-Catenin-LEF1 fusion protein driven by the Sfptc promoter results in induction of intestinal epithelial genes in lieu of distal lung epithelial genes (Okubo and Hogan, 2004); and 3) inducible expression during development of an activated β-Catenin construct (CatnbΔ(ex3)) through Cre recombination under control of the Scgb1a1 promoter causes squamous, cuboidal, and goblet cell dysplasia in the airways, decreased Foxa2 expression, and ectopic expression of distal alveolar markers in conducting airway epithelial cells (Mucenski et al., 2005). Whether some of these effects result from altered specification, differential expansion of progenitor cell populations or involve non-signaling activities of Wnt, remains to be further investigated. Despite these suggestive studies and the plethora of published evidence from Drosophila models implicating a role for Wnts in lineage specification, little is known about the role of Wnt signaling in the specification of lung progenitors from multipotent endoderm. While the role of transcription factors in modulating gene expression has been well studied, a growing literature now implicates epigenetic changes, such as chromatin remodeling and methylation of DNA or histones, in many developmental processes. Methylation of key gene promoter sequences, such as CpG islands, for example, is well known to modulate expression of many genes (Holmes and Soloway, 2006; Li, 2002). During development a highly orchestrated series of diverse differentiation steps occurs. Differentiation is accompanied by restriction of cell fates in a process that involves the sequential activation of key transcriptional regulators together with suppression of other genes. In Drosophila models of development, for example, proteins of the polycomb group (PcG) appear to contribute to silencing changes in chromatin structure, while ATP-dependent chromatin remodeling proteins, such as the trithorax group, tend to contribute to activation of the genes they occupy (Buszczak and Spradling, 2006). This same dynamic balance between polycomb repressors and trithorax activators appears to be present in mammalian systems as well. Recent literature now illustrates that in mammalian development PcG proteins occupy a special set of developmental genes in pluripotent ES cells (Boyer et al., 2006; Buszczak and Spradling, 2006; Lee et al., 2006). Polycomb repressive complexes (PRC1 and PRC2) suppress these genes and modify their nucleosomes by facilitating trimethylation of key lysine residues on histone H3 (H3K27). Notably, many of these genes are transcription factors that are preferentially activated during ES cell differentiation, and their promoter regions are co-occupied by the transcriptional regulators Oct4, Nanog, and Sox2 (Lee et al., 2006). These genes thus appear poised for activation during ES cell differentiation, potentially through activating changes in their chromatin states. With regard to lung differentiation, the important developmental transcriptional regulators, Titf1, Gata6, and Foxa2 are bound by PRCs, have trimethylated H3K27 and are repressed in undifferentiated ES cells (Lee et al., 2006). Although the functional role of epigenetic changes in early lung lineage specification is not known, a recent study found changes in the expression of chromatin remodeling proteins in the prospective lung field of developing endoderm. Before and after lung bud induction, genome-wide expression profiling of the prospective lung field revealed significant upregulation of the PCG member Suz12 as well as other critical genes involved in regulation of chromatin and epigenetic structure, such as Bmi1, Dnmt3a, Rnf2, and Chmp1b (Millien et al., 2008). This transcriptional profiling also revealed expression of several additional members of both trithorax and PCG members during this key early lung developmental stage. 11. Do residual lung epithelial stem/progenitor cells remain after lung development is complete? During embryonic development, a small group of foregut endoderm-derived lung progenitor cells gives rise to the entire lung epithelium. It remains controversial, however, whether the post-natal lung retains any lung stem or progenitor cells with capacity for proliferation and multipotent differentiation. Insights into this issue have come from analysis of models of lung injury-repair in adult rodents. In the proximal tracheobronchial epithelium, bronchiolar epithelium, and distal alveolar epithelium several differentiated cell types have been shown to participate in repair after injury (Hong et al. 2003; Stripp et al. 1995; Park et al., 2006; Borthwick et al., 2001) and are considered to be putative progenitor cells (see Figure 5; reviewed in Rawlins and Hogan, 2006). In the proximal conducting airways a role in epithelial repair has been posited for basal cells, secretory (Clara) cells, or cells residing in submucosal glands (Hong et al. 2003; Borthwick et al., 2001; Zepeda et al 1995; Engelhardt et al., 1995; Engelhardt et al., 1991; Boers et al., 2006; Breuer et al., 1990). Many of these investigations have employed experimental labeling of proliferating cells using tritiated thymidine, bromodeoxyuridine (BrdU), or retroviral tagging, allowing analysis of cells contributing to airway epithelial reconstitution after injury or after xenografting onto tracheas denuded of epithelium Zepeda et al 1995; Engelhardt et al., 1995; Engelhardt et al., 1991; Boers et al., 2006; Breuer et al., 1990). Importantly, a large body of data suggests that the type of airway injury is an important determinant of the type of progenitor cell activation. For example, Evans and colleagues demonstrated that secretory cells of rat airways functioned as the principal airway epithelial progenitor following injury with nitrogen dioxide or ozone (Evans et al., 1976; Evans et al., 1986). Diagram representing putative lung epithelial progenitors and their locations in the adult respiratory system. The composition of the lung epithelium changes significantly along a proximal to distal axis. Cell markers and anatomic niches used to identify cells with lung epithelial regenerative potential are illustrated and color coded. In the proximal airways (trachea and large bronchi) basal cells (green; expressing keratins K5 and K14) as well as non-basa cells, and cells within the submucosal (SM) gland duct have each been proposed as having airway epithelial regenerative capacity. In the distal bronchiolar airways, Clara cells (red; CC10+) are able to proliferate after injury. Subsets of CC10+ cells (variant-Clara cells) within the localized anatomic niches of neuroendocrine bodies (NEB) or bronchoalveolar duct junctions (BADJ) resist naphthalene-induced lung injury and possess putative airway epithelial regenerative capacity. The NEB niche is enervated and typically identified by staining for the marker calcitonin gene-related peptide (CGRP; grey), although the variant-Clara cells themselves do not express this neuroendocrine marker. In the alveolus, the type II alveolar epithelial cell (blue; expressing surfactant protein-C [SPC]) serves as an alveolar progenitor able to self-renew as well as differentiate into flat type I alveolar epithelial cells. It has been proposed that a variant-Clara cell in the BADJ niche co-expresses both CC10 (Sctgb1a1) and SPC (Sfptc) and functions as a multipotent bronchoalveolar stem cell (BASC; yellow). Reproduced with editorial permission from Springer (Kotton and Fine, 2008). In contrast, following naphthalene injury in the tracheal epithelium, basal cells have been proposed as possessing progenitor capacity (Hong et al., 2003). The results from the rat tracheal xenograft model have similarly been variable with some studies suggesting that only basal cells (Ford and Terzaghi-Howe 1992) or only non-basal columnar cells, (Johnson and Hubbs, 1990) or both populations (Liu et al., 1994) can restore the proximal airway epithelium. In cases of extreme and diffuse airway injury such as that suffered after exposure to naphthalene, rare variant-Clara cells residing within neuropepithelial bodies (Hong et al., 2001; Reynolds et al., 2000; Peake et al., 2000; Reynolds et al., 2000) or broncho-alveolar duct junctions (BADJ; Giangreco et al., 2002) have been shown to rapidly proliferate and contribute to distal airway epithelial repair. Overall the many animal models employed to examine airway epithelial reconstitution indicate that, in adults, several airway epithelial cell types are able to give rise to differentiated secretory and ciliated epithelial progeny. 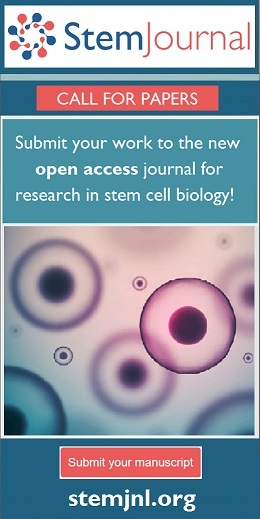 The question of whether there are adult multipotent lung stem cells capable of self-renewal and multipotent differentiation after injury has been addressed in one recent investigation (Kim et al., 2005). Kim et al. focused on the bronchoalveolar duct junction (BADJ) region first proposed by Stripp and colleagues as playing a key role in repair after naphthalene-induced lung injury (Giangreco et al., 2002). Employing immunofluorescence microscopy, this group identified rare cells at the BADJ that appeared to co-express both the alveolar type II cell marker, Sftpc, as well as the Clara cell marker, Scgb1a1 (Kim et al., 2005). Following naphthalene exposure these cells resisted injury and began to proliferate suggesting a role in repair. Although rare, the authors suggested that Sfptc+/ Scgb1a1+ cells could be purified by flow cytometry from proteolytically digested adult murine lung tissue based on the surface marker profile: Sca1+CD45-CD31-CD34+. Sorted single cells of this phenotype could be expanded in culture. Ex vivo clonogenic assays were used to suggest stem cell properties of self-renewal and multipotent differentiation. In addition, based on studies employing a mouse model of lung adenocarcinoma induced by activated K-ras. For these reasons, the investigators termed these cells bronchoalveolar stem cells (BASCs). In the developing lung is not known, and whether BASCs bare any relation to the BADJ variant-Clara cells first identified by Stripp and colleagues remains uncertain. While initial work characterizing these putative stem cell populations is promising, future studies employing in vivo lineage-tagging methods in adult animals will be required to define the in vivo differentiative repertoire of BASCs or BADJ variant-Clara cells. The analysis of pluripotent embryonic stem (ES) cells offers unprecedented opportunities for the study of the molecular pathways involved in the development and differentiation of lung epithelium. The potential to derive lung epithelium from ES cells in culture has also raised the exciting possibility of future cell-based therapies designed to reconstitute injured lung epithelium. ES cells are derived from the inner cell mass (ICM) of the mammalian blastocyst and can be maintained and expanded in culture in a pluripotent state(Evans and Kaufman, 1981). When transplanted into blastocyst-stage embryos, ES cells are able to contribute to all somatic tissue lineages, including all pulmonary epithelial cell types. Upon addition of specified inducing substances, ES cells are also able to generate a broad spectrum of differentiated cell lineages in culture (Keller, 1995). Because the initial developmental stages in the ES cell system appear to recapitulate those in the mouse embryo, investigators have focused on using ES cells to study the molecular control of early developmental events, such as establishment of the three primitive germ layers. In this regard, after culturing in appropriate conditions, ES cells differentiate into embryoid bodies (EB) which contain derivatives of all three germ layers (Gadue et al., 2005). To date the majority of studies have centered on mesoderm and ectoderm development and, as a consequence, conditions have been established for the efficient differentiation of hematopoietic, vascular, muscle and neural lineages (Czyz and Wobus, 2001; Hescheler et al., 1997; Keller et al., 1993; Kramer et al., 2000; Nakano et al., 1994; Nishikawa et al., 1998; Okabe et al., 1996; Rohwedel et al., 1994; Vittet et al., 1996; Wiles and Keller, 1991). Far fewer studies have successfully derived endodermal lineages, such as lung epithelium, from ES cells in vitro. With regard to the differentiation of lung lineages, Ali and colleagues first demonstrated that expression of Sfptc mRNA and protein could be detected after mouse ES cells were differentiated into embryoid bodies followed by prolonged culture periods in proprietary ‘small airway growth medium’ (Ali et al., 2002). These investigators also applied their protocol to generate Sfptc expression from human ES cells (Samadikuchaksaraei et al., 2006). Subsequent differentiation of mouse ES cells into cells expressing the type I alveolar epithelial marker, aquaporin 5 was also reported (Qin et al., 2005). In addition, Coraux and colleagues demonstrated the derivation from mouse ES cells of epithelial cells with characteristics of tracheobronchial epithelium, including a Clara cell-like phenotype, after culturing in conditions that included an air-liquid interface (Coraux et al., 2005). Taking into account the important patterning signals secreted by developing lung mesenchyme, investigators have also successfully derived Sfptc+ cells by co-culturing ES cells with suspensions of digested fetal lung mesenchyme (Denham et al., 2006; Van Vranken et al., 2005). Kubo et al. significantly advanced the study of ES-derived endoderm recently by demonstrating that activin A could stimulate Nodal signaling in ES cells, thereby enabling for the first time the efficient and robust derivation of definitive endoderm (Kubo et al., 2004). Subsequent reports by this and other groups confirmed that several endodermal lineages, including liver, lung, intestine, and pancreatic epithelia could be derived both in vitro and in vivo from ES cells cultured using this approach (D’Amour et al., 2005; Gadue et al., 2006; Gouon-Evans et al., 2006; Rippon et al., 2006; Yasunaga et al., 2005). The signaling pathways responsible for this differentiation appeared to involve activin/nodal/Tgf beta signaling, canonical Wnt signaling activated by Wnt3a, and the presence of Bmp4 (Gadue et al., 2006; Gouon-Evans et al., 2006). Most recently, a pure population of cells resembling type II alveolar epithelium was isolated from human ES cells engineered to express an antibiotic resistance cassette under regulatory control of the Sfptc promoter (Wang et al., 2007). In relatively simple culture conditions containing serum as well as puromycin antibiotic, ES cells were differentiated and antibiotic-resistant cells were selected until a >99% pure population of cells expressing a variety of type II alveolar epithelial markers was obtained. The past several years have yielded significant progress in understanding lung development. Markers for differentiated epithelial cells (such as SfptC, and Sctgb1a1) have been successfully employed to define the kinetics of emergence of these cells during mid and late lung development. Furthermore much has been learned about the interplay of epithelial-mesenchymal signals (such as FGF signaling) responsible for branching morphogenesis during budding and branching of the respiratory system. Despite this recent progress, our understanding of the mechanisms of induction and lineage specification of early lung and tracheal epithelial cell fate is still rudimentary, and the signals that instruct endodermal precursors to select a lung epithelial cell lineage remain unclear. There are multiple reasons that have limited progress in this area. First, the lung represents a great challenge due to the diversity of cell types in both the epithelium and mesenchymal layers, and due to the complex spatial arrangement of its components. Second, there is limited knowledge of early markers of lung cell fate in the foregut endoderm and currently no markers that can distinguish lung from tracheal lineages prior to induction of morphogenesis of these structures. Although Sfptc is considered a specific marker of lung lineage, its expression is not induced (or detected) prior to the emergence of the primary lung buds, and thus Titf1 (a transcription factor also present in the developing thyroid and nervous system) is the only early known marker for both lung and tracheal fates within the foregut endoderm. A challenge now facing investigators is characterization and isolation of the key progenitor cells within the developing endoderm that give rise to the respiratory epithelium. The identification of cell surface markers of putative progenitor/stem cells of the lung would be invaluable for the investigation of the potential stem cell niches in the developing lung. Isolation of these progenitor cells would allow delineation of their molecular profile and would accelerate discoveries of the signals instructing these cells to select respiratory cell fates. Understanding the biology of lung epithelial progenitor cells as the respiratory tract forms would also allow a detailed search of the adult lung to assess whether progenitors of similar phenotype remain in the post-natal lung or may be reactivated during repair after lung injury. Future studies should couple cell lineage tracing with large scale mapping of components of signaling pathways and microRNAs in the developing lung. Modeling early lung development employing the ES cell model system is expected to be valuable in delineating mechanisms controlling cell fate decisions of the developing endoderm as the first lung epithelial progenitors are specified. 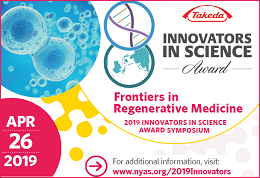 This ex vivo model system is likely to yield discoveries that can be verified in traditional in vivo embryonic model systems. Studies of early lung developmental programs will also need to incorporate the role of physical properties of early lung epithelial progenitors and their interactions with local microenvironments as the lung develops. These include analyses of the contribution of mechanical forces, such as stretch, movement and changes in transmembrane potentials and ion flux. Based on rapid recent advances in imaging modalities and stem cell biology, investigators now appear poised to significantly advance an understanding of lung developmental biology. Bellusci, S. Grindley, J. Emoto, H. Itoh, N. Hogan, B. L. (1997b). Fibroblast growth factor 10 (FGF10) and branching morphogenesis in the embryonic mouse lung. Development 124, 4867–4878. Bhushan, A. Itoh, N. Kato, S. Thiery, J. P. Czernichow, P. Bellusci, S. Scharfmann, R. (2001). Fgf10 is essential for maintaining the proliferative capacity of epithelial progenitor cells during early pancreatic organogenesis. Development 128, 5109–5117. Boers, J.E. Ambergen, A.W. Thunnissen, F.B. (1998). Number and proliferation of basal and parabasal cells in normal human airway epithelium. Am J Respir Crit Care Med 157(6 Pt 1), 2000–2006. Borthwick, D.W. Shahbazian, M. Krantz, Q.T. Dorin, J.R. Randell, S.H. (2001). Evidence for stem-cell niches in the tracheal epithelium. Am J Respir Cell Mol Biol 24(6), 662–670. Breuer, R. Zajicek, G. Christensen, T.G. Lucey, E.C. Snider, G.L. (1990). Cell kinetics of normal adult hamster bronchial epithelium in the steady state. Am J Respir Cell Mol Biol 2(1), 51–58. De Moerlooze, L. Spencer-Dene, B. Revest, J. Hajihosseini, M. Rosewell, I. Dickson, C. (2000). An important role for the IIIb isoform of fibroblast growth factor receptor 2 (FGFR2) in mesenchymal-epithelial signalling during mouse organogenesis. Development 127, 483–492. Dickman, E. D. Thaller, C. Smith, S.M. (1997). Temporally-regulated retinoic acid depletion produces specific neural crest, ocular and nervous system defects. Development 124, 3111–3121. Evans, M.J. Johnson, L.V. Stephens, R.J. Freeman, G. (1976). Renewal of the terminal bronchiolar epithelium in the rat following exposure to NO2 or O3. Lab Invest 35(3), 246–257. Evans, M.J. Shami, S.G. Cabral-Anderson, L.J. Dekker, N.P. (1986). Role of nonciliated cells in renewal of the bronchial epithelium of rats exposed to NO2. Am J Pathol 123(1), 126–133. Giangreco, A. Reynolds, S.D. Stripp, B.R. (2002). Terminal bronchioles harbor a unique airway stem cell population that localizes to the bronchoalveolar duct junction. Am. J. Pathol. 161, 173–182. Hong, K.U. Reynolds, S.D. Giangreco, A. Hurley, C.M. Stripp, B.R. (2001). Clara cell secretory protein-expressing cells of the airway neuroepithelial body microenvironment include a label-retaining subset and are critical for epithelial renewal after progenitor cell depletion. Am J Respir Cell Mol Biol 24(6), 671–681. Johnson, N.F. Hubbs, A.F. (1990). Epithelial progenitor cells in the rat trachea. Am J Respir Cell Mol Biol 3(6), 579–585. Keller, G. Kennedy, M. Papayannopoulou, T. Wiles, M.V. (1993). Hematopoietic commitment during embryonic stem cell differentiation in culture. Mol. Cell Biol. 13, 473–486. Kotton, D.N. Fine, A. (2008). Lung Stem Cells. Cell Tissue Res 331(1), 145–156. Lazzaro, D. Price, M. de Felice, M. Di Lauro, R. (1991). The transcription factor TTF-1 is expressed at the onset of thyroid and lung morphogenesis and in restricted regions of the foetal brain. Development 113, 1093–1104. Liu, J.Y. Nettesheim, P. Randell, S.H. (1994). Growth and differentiation of tracheal epithelial progenitor cells. Am J Physiol 266(3 Pt 1), L296–L307. Lu, J. Izvolsky, K.I. Qian, J. Cardoso, W.V. (2005). Identification of FGF10 targets in the embryonic lung epithelium during bud morphogenesis. J. Biol Chem 280, 4934–4841. Mahlapuu, M. Enerback, S. Carlsson, P. (2001). Haploinsufficiency of the forkhead gene Foxf1, a target for sonic hedgehog signaling, causes lung and foregut malformations. Development 128, 2397–2406. Malpel, S. Mendelsohn, C. Cardoso, W.V. (2000). Regulation of retinoic acid signaling during lung morphogenesis. Development 127, 3057–3067. Massaro, G.D. Massaro, D. Chan, W.Y. Clerch, L.B. Ghyselinck, N. Chambon, P. Chandraratna, R.A. (2000). Retinoic acid receptor-beta: an endogenous inhibitor of the perinatal formation of pulmonary alveoli. Physiol Genomics 4, 51–57. Mollard, R. Ghyselinck, N.B. Wendling, O. Chambon, P. Mark, M. (2000). Stage-dependent responses of the developing lung to retinoic acid signaling. Int. J. Dev. Biol. 44, 457–462. Nishikawa, S.I. Nishikawa, S. Hirashima, M. Matsuyoshi, N. Kodama, H. (1998). Progressive lineage analysis by cell sorting and culture identifies FLK1+VE-cadherin+ cells at a diverging point of endothelial and hemopoietic lineages. Development 125, 1747–1757. Peake, J.L. Reynolds, S.D. Stripp, B.R. Stephens, K.E. Pinkerton, K.E. (2000). Alteration of pulmonary neuroendocrine cells during epithelial repair of naphthalene-induced airway injury. Am J Pathol 156(1), 279–286. Reynolds, S.D. Hong, K.U. Giangreco, A. (2000). Conditional clara cell ablation reveals a self-renewing progenitor function of pulmonary neuroendocrine cells. Am J Physiol Lung Cell Mol Physiol 278(6), L1256–L1263. Reynolds, S.D. Giangreco, A. Power, J.H. Stripp, B.R. (2000). Neuroepithelial bodies of pulmonary airways serve as a reservoir of progenitor cells capable of epithelial regeneration. Am J Pathol 156(1), 269–278. Stripp, B.R. Maxson, K. Mera, R. Singh, G. (1995). Plasticity of airway cell proliferation and gene expression after acute naphthalene injury. Am J Physiol 269(6 Pt 1), L791–L799. Vittet, D. Prandini, M.H. Berthier, R. Schweitzer, A. Martin-Sisteron, H. Uzan, G. Dejana, E. (1996). Embryonic stem cells differentiate in vitro to endothelial cells through successive maturation steps. Blood 88, 3424–3431. Weaver, M. Yingling, J. M. Dunn, N. R. Bellusci, S. Hogan, B. L. (1999). Bmp signaling regulates proximal-distal differentiation of endoderm in mouse lung development. Development 126, 4005–4015. Wiles, M.V. Keller, G. (1991). Multiple hematopoietic lineages develop from embryonic stem (ES) cells in culture. Development 111, 259–267. Copyright: © 2008 Wellington V. Cardoso and Darrell N. Kotton. *Edited by: Alexander F. Schier. Last revised June 16, 2008. Published July 16, 2008. This chapter should be cited as: Cardoso, W.V. and Kotton, D.N., Specification and patterning of the respiratory system (July 16, 2008), StemBook, ed. 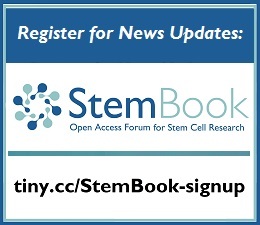 The Stem Cell Research Community, StemBook, doi/10.3824/stembook.1.10.1, https://www.stembook.org. 11.Do residual lung epithelial stem/progenitor cells remain after lung development is complete?